Paul Max Tipton, lyric baritone, is building a fine solo and chamber career as a concert artist, and is engaged regularly with acclaimed ensembles in Austin, Miami, Ann Arbor, Minneapolis/St. Paul, and Detroit. He sang the role of Judas in Bach’s St. Matthew Passion under Helmuth Rilling at Carnegie Hall in 2007, and later made his Boston debut in the same work as bass soloist with the Back Bay Chorale, conducted by Scott Jarrett. This past winter he was a soloist under Craig Hella Johnson with Conspirare in Austin in a performance sponsored by the National Endowment for the Arts’ American Masterpieces: National Choral Initiative. No stranger to opera, he has sung Schaunard with the New York Opera Society while on tour in Toulouse. Mr. Tipton trained on a full-tuition fellowship at the University of Michigan School of Music in Ann Arbor, being mentored by mezzo-soprano Luretta Bybee and bass-baritone Greer Grimsley, also having studied with visiting artists Grace Bumbry and the late Lorraine Hunt-Lieberson. 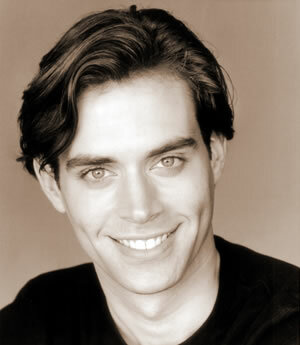 While at the University of Michigan, he performed the title role in Don Giovanni under the baton of Martin Katz, and soloed under Leonard Slatkin on the Naxos recording of William Bolcom’s Songs of Innocence & of Experience, a project that won four Grammys in 2006, including Best Choral Recording. Further training included study of the music of Kurt Weill with Angelina Réaux, protégée of Leonard Bernstein, and he has worked closely with composer Ricky Ian Gordon, joining him twice in concert in Ann Arbor and Florence, Italy. Engagements in 2007-2008 include a return to Carnegie Hall for performances of Händel choral works with Ton Koopman, performances of Schubert Masses with Seraphic Fire and the New World Symphony under Michael Tilson Thomas, studio recordings with Conspirare in Austin, TX, and recitals in Philadelphia and Boston.